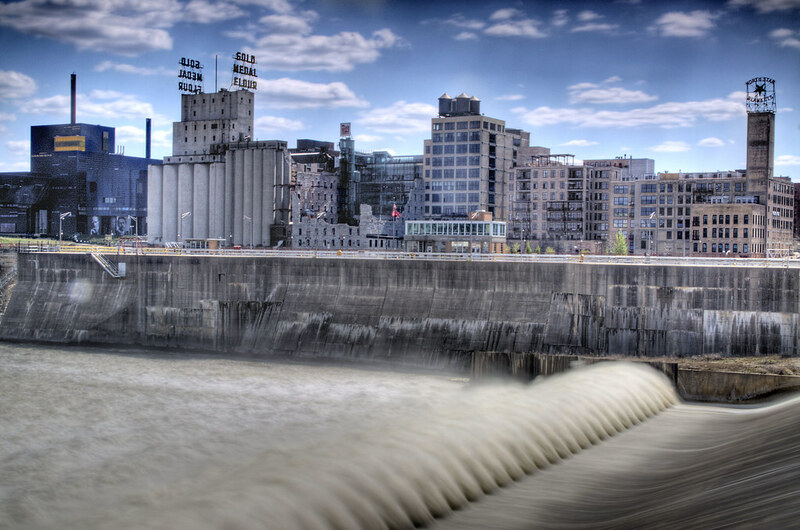 A very cool HDR photo of the scenery alongside the Mississippi River at St. Anthony Falls in downtown Minneapolis. Great view. Looks as if the photographer took some risks getting this shot too.